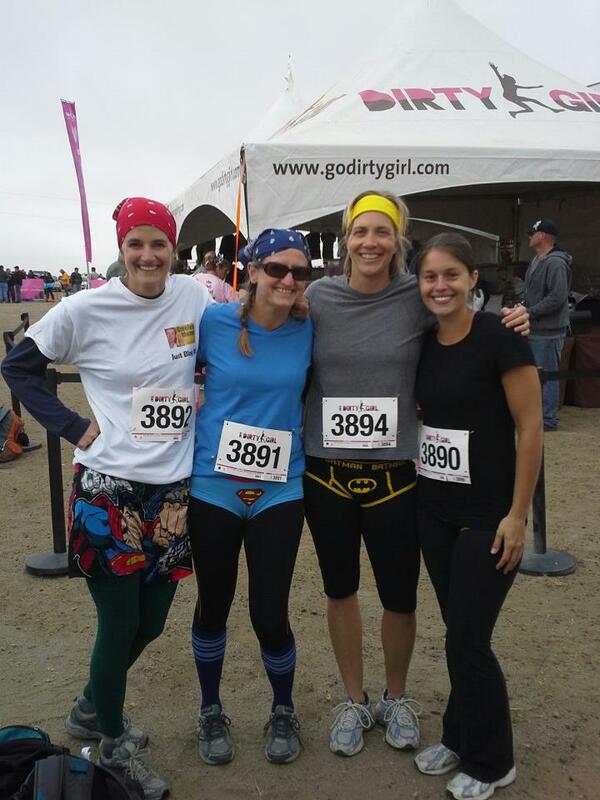 Once upon a time, on a very cold and foggy day, there were several strangers in a minivan on their way to a muddy, Dirty Girl race. It was early in the morning and the sunrise was inspiring. Throughout the day there were many laughs, some great homemade pumpkin bread, a cold celebratory beer and some extra-large burritos. Several months later, after several brainstorming sessions, Rocky Parenting began. We hope you will find this a place where you can share in our parenting journeys, and be a part of the parenting community that is real, neighborly and virtual. We don’t usually have a lot of actual advice to offer, only the camaraderie that other parents are also having rocky days and surviving. So, pour yourself a hot cocoa, coffee or a wine (we don’t care what time of day it is) and join the Rocky Parenting community. Holly, Claire, Jaymi and a friend we brought to the race because she makes great pumpkin bread. We don’t normally wear our underwear on the outside of our clothes. Actually, we feel like fairly proficient parents if we leave the house with matching shoes. I have nominated you for the Versatile Bloggers Award. I appreciate your work! Thank you Mark! We appreciate you as a one of our readers!